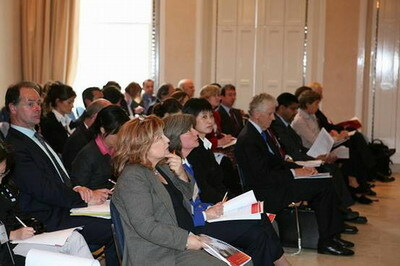 The Economic & Commercial Counsellor's Office of the Chinese Embassy, in association with related British organisations, successfully held the Policy Briefing on China's New Emphasis on Import in London on 14 May. Around 80 representatives from DTI, UKTI, trade associations, business community and British mainstream media attended the event. 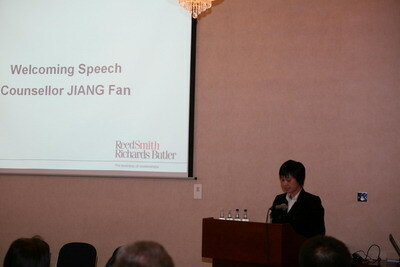 Counsellor JIANG Fan first made a welcoming speech and introduced the main purpose of the event. Expanding import has been prioritized by the Ministry of Commerce as its main focus of the year 2007 to promote the economic growth of China and the world. At present, China has been promulgating import encouraging policies and will continue to do so. The purpose of the Policy Briefing is to convey information on Chinese domestic market demand to the British business community, interpret related import policies and measures in order to provide an important platform for British partners to explore potentials and expand business opportunities. Taking the opportunity of his visit to London for the Sino-British Joint Economic and Trade Commission Midway Meeting, Director General SUN Yongfu of the Department of European Affairs of the Ministry of Commerce made a keynote speech, by giving a general introduction on China's national economy and foreign trade, describing the healthy and quick development of the Sino-UK economic and trade relations, and focusing on the measures China is going to take to expand import. He hoped that Chinese and British companies could begin from a new starting point, strengthen hi-tech and industrial cooperation and expand technology trade. 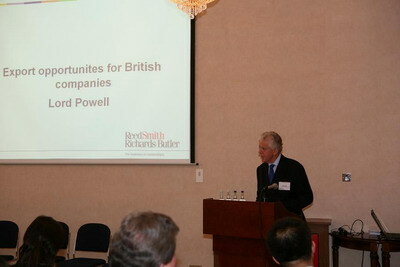 Director of UKTI Asia Pacific Mr Asif Ahmad and President of China-Britain Business Council Lord Powell encouraged British companies to take the opportunities of the Chinese market to expand export to China and also introduced the main measures of export support from the British government. In addition, official from the Department of Mechanic, Electronic and Hi-Tech Industry of the Ministry of Commerce, representatives from China Foreign Trade Centre, Rolls-Royce, Reed Smith Richards Butler gave their presentations on the list of import products encouraged by the Chinese government, the newly-added function of the Canton Fair for promoting import, experiences on exporting to China and arbitration and enforcement in China respectively. This event got great support from related Chinese and British parties and drew attentions from the British business community. Participants think that China's huge domestic market demand will provide huge impetus for further economic and trade cooperation between China and the UK.